In terms of the location of buildings Karl Marx Street is a bit exclusive: it doesn’t have odd side. Tightly packed together, clearly lined up on the red line, two- and three-floored buildings create the illusion of a single facade, which is broken only in one place (between 10th and 12th houses) by a gate with a patterned grid. The office building was built in 1880-1890. The typical public building of eclectic trend in architecture, which was dominant in Europe and Russia in 1830-1890’s. The «eclectic» style performed the basic requirement of society of the late XIX century, expressed in an effort to maximize, even specious pageantry in the architecture of buildings, where rich moulding decorations and decorative forms dominate. Eclectic is «many-styled» it means that constructions of one period are based on different styles and schools depending on buildings destination (churches, public buildings, factories, private homes) and by means of the customer (coexist rich decor, filling the entire surface of the construction, and economical » red-brick «architecture). Office building in the Karl Marx street, the house 10 is a modest sample of eclecticism. In 1941-1943 the building was badly damaged. It was restored in 1946. According to the passport of the mentioned above object, it also has a second name «Rented apartment house.» Rented apartment house – is the multi-family building, built for renting the apartments, as well as the type of architectural structure, developed in European countries in 1830-40-th years. Until 1917 in Moscow, about 40 percent of housing were apartment houses. Rented apartment house in the Karl Marx street was built in 1911-1912. It was built as a house for several apartments. In 1941, during the bombing of Smolensk it was destroyed. It was restored to its original form in 1944-1945. The house is one of the few houses in Smolensk in the neoclassical style. There is an interesting concept of interior layout: on either side of the staircase, which occupies the space of the central brow (projecting part of the building, going into full height), there are two big hall facilities, which lean in the center on four square pillars. In the bay window (semi-circular, triangular or multi-faceted glazed ledge in the wall of the building) – there is a staircase. There is a lift in the house though it is not a multistory one. In a post-war time, there lived the first persons of the Smolensk region: the first secretary of the Smolensk Regional Party Committee, the Governor of the Smolensk region. At address: K. Marx Street, h. 14 nowadays there are two buildings. One is located near the two-floored building MBUK «Central park of culture and rest «Lopatinsky garden». 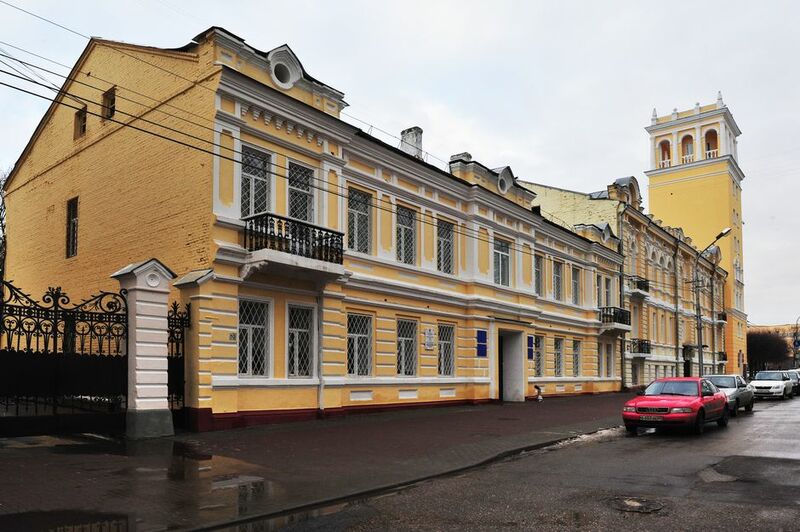 It is an object of cultural heritage of regional significance «Administrative building». 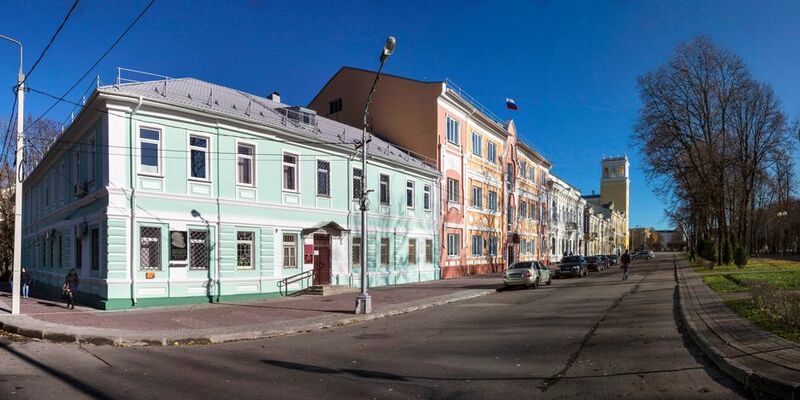 The second is a standing next three-floored building, being an object of cultural heritage of federal importance «House, in 1922 — 1925 lived Tukhachevsky Mikhail Nikolayevich at», it is one of the finest examples of Art Nouveau in the Smolensk region. In May 1885 in Smolensk took place a significant event — the grand opening of the monument to M.I. Glinka. On the festive ceremony prominent public figures came to the Smolensk, as well as the great composers – P.I. Tchaikovsky, S.I. Taneyev, A.K. Glazunov, Alexander Arensky, the artists of the Moscow theaters, choirs. It was the event, when it was said about necessity to open a music school in the homeland of the composer — in Smolensk. To organize the school, a special fund was formed. L.I. Shestakova (the composer’s sister), who came to the opening of the monument, made the first financial contribution. Gradually they began to raise funds for the school. Famous actors, musicians gave concerts in favor of the fund. Among them is Mrs. M.K. Nikolaeva (Tenisheva). She held several concerts in Paris, the charge went to the school fund. 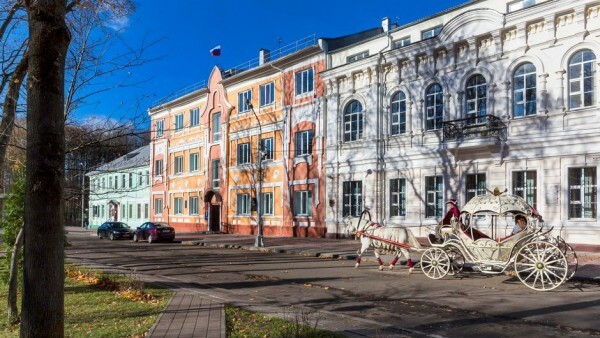 In the Smolensk regional archive there is a «Case of the resolution nobleman A.N. Izmailov to open in Smolensk music school named after M.I. Glinka». At the end of the XIX century by order of the Smolensk city district council was built the building for placing a music school. 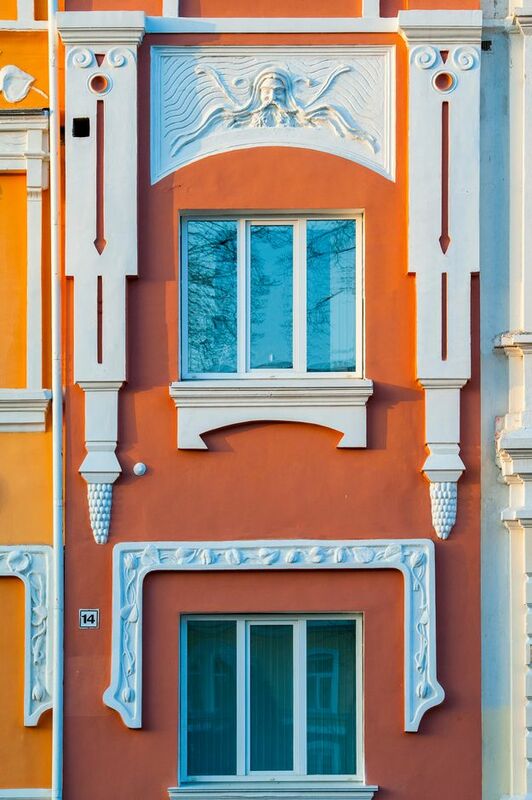 The house is located in a building range of the «continuous facade» in the Karl Marx Street, and is an example of a public building with an eclectic street façade decor. In 1941-1943 it was badly damaged. It was restored in 1948-1950. Smolensk music school number 1 named after Glinka, open by composer’s nephew A.N. Izmailov, is proud of its exclusiveness and cherishes a keeps its history and glorious traditions carefully. The school’s library kept lifetime editions of works by Glinka, Borodin, Rimsky-Korsakov, Chopin, Mendelssohn and other composers. Perhaps this strong and living connection with the great composers musical world, despite its «multi-style», is the source of the «carved in stone music» unified architectural ensemble of Karl Marx Street.